During the colder months, I like to a make some type of soup at least once a week. Scratch that. I make soup all year long! Who doesn't like soup?! 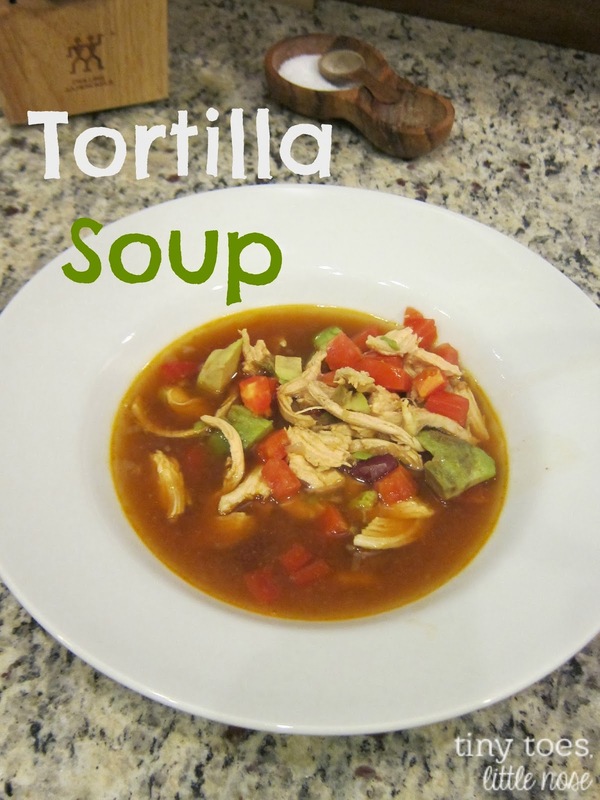 I have a few favorites that are in constant rotation, but my absolute favorite... go-to...can make it in my sleep...know all the ingredients off the top of head soup is Tortilla Soup! It's so hard for me to share recipes, because I'm stingy like that. And if my friends knew all my recipes, then they wouldn't have to come to the Keenan house for tasty little treats. However, this soup recipe is just too good not to share, and I'm feeling generous! For those of you crazy ones that are already dreaming about Cinco de Mayo, this would be the perfect dinner with margaritas of course! Now I'm gonna have to share my marg recipe, but that is for another day. Enjoy! This looks delicious. I've never made tortilla soup, but I bet my family would love it. I am going to pin it for later. I haven't found someone that did not like it yet! Hope your family enjoys it!